Upcyling is a craze that took over the summer just a couple of years ago. A favourite of hipsters, teachers, parents looking to keep the kids occupied and environmental enthusiasts alike, upcycling is the process of giving something previously considered only fit for the scrap heap, a new purpose and a new lease of life. A favourite with fans of rustic home fashions, upcycling is the process of taking something tired, old and far past its best, and turning it into something new, useable and, most importantly, valuable. Furniture is one of the most commonly upcycled items, along with scrap wood (pallets and crates are very popular) which is, in turn, turned into new furniture. Wooden items don’t require too much skill and are something that can be transformed by anyone with just a little imagination and knack with a paint brush. When it comes to turning old TVs into aquariums though, it’s likely to take a little more prior knowledge and is unlikely to be a weekend DIY project. Upcycling isn’t just about saving money, it’s about avoiding the pitfall of “saving money” on cheap items that don’t last. Instead, it makes more sense to spend slightly more on quality that can be repurposed again and again. Etsy, for example, is a selling platform for individuals dedicated to repurposing, upcycling and re-using in a bid to create something that can be designed and sold for someone else to enjoy. Next time you’re considering throwing something out because it’s past its best or no longer fits in with your tastes, look around for inspiration on how you could transform it in order to create something you can use again. Whether that’s reupholstering a tired looking chair with a bright a vibrant pattern, or perhaps the laying of old vinyl records of as a brand new floor surface, with a little elbow grease, imagination and willingness, you’ll be able to create a beautifully rustic, shabby chic finish. The answer here is probably yes, but there are times when it can be very expensive. Restored classic cars for example, look amazing but the process of restoring them is a time consuming and expensive one. However, there are quick and easy ways to get your car in the condition you want. A logbook loan from Auto Advance will free up some of the cash in the value of your car which will allow you to complete the restoration process, while also keeping full use of the vehicles too. 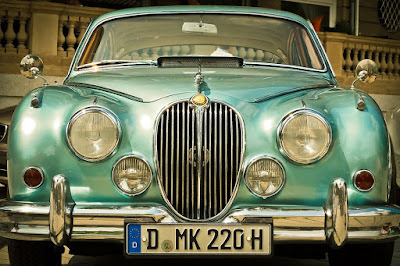 As soon as you’ve paid the loan back your beautifully restored classic car will be 100% yours once again. Why not take something you’ve fallen out of love with and see what you can do with it? Not only is the process cathartic, you’re guaranteed to love the finished product and save yourself some money in the meantime too.